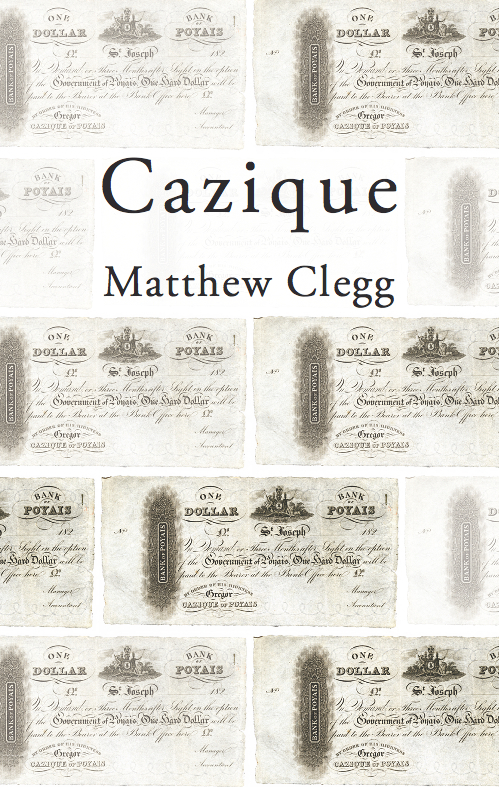 Cazique is the third full-length poetry collection by Matthew Clegg. A beautifully produced 96-page hardback, it is available from Longbarrow Press for £12.99 (+ P&P). You can order the book securely by clicking on the relevant PayPal button above. Click on the links at the top of this page to read poems from the book. Cazique is a book in three movements. ‘Officer’ / ‘Zipped File’ details the breakdown in communication between employee and employer. ‘Holodets’ tackles what is lost in translation during a love affair between an English poet and a Russian immigrant. The title sequence offers the last confessions of a washed-up confidence trickster: a man inspired by the 19th century swindler Gregor MacGregor – the self-titled Cazique of Poyais. These dramatic sequences move between the public and the private, negotiating seductive facades and authentic flaws. Like the world we live in, the characters presented are in thrall to truth, but unable to live entirely by its strictures. Corporate homogeneity, romantic love, and Satanic deceit all fail to deliver the land of milk and honey. The poems of Cazique are inhabited by individuals in different environments and predicaments, coping with different pressures. They continue the author’s engagement with personae and place – and the ever-unstable relationship between the two. 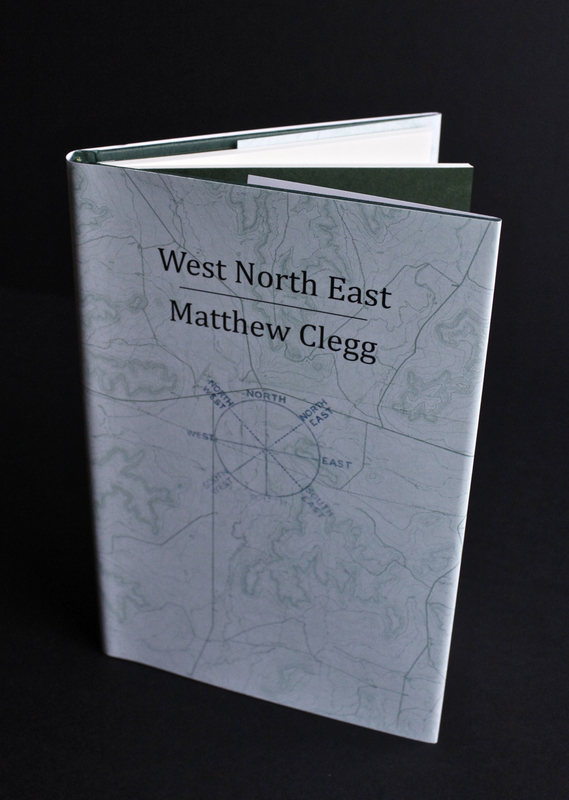 Matthew Clegg’s publications include Nobody Sonnets, Edgelands, Lost Between Stations, West North East and The Navigators, all from Longbarrow Press. He received an Eric Gregory Award in 1997, and was a writer in residence at The Wordsworth Trust from 1999-2001. He has worked as a youth development worker, a project manager and as an Arts Council Literature Officer. He currently teaches creative writing at Derby University. His poetry moves between narrative and lyric impulses, and it frequently explores a tension between the poetic and the anti-poetic, or quotidian reality. 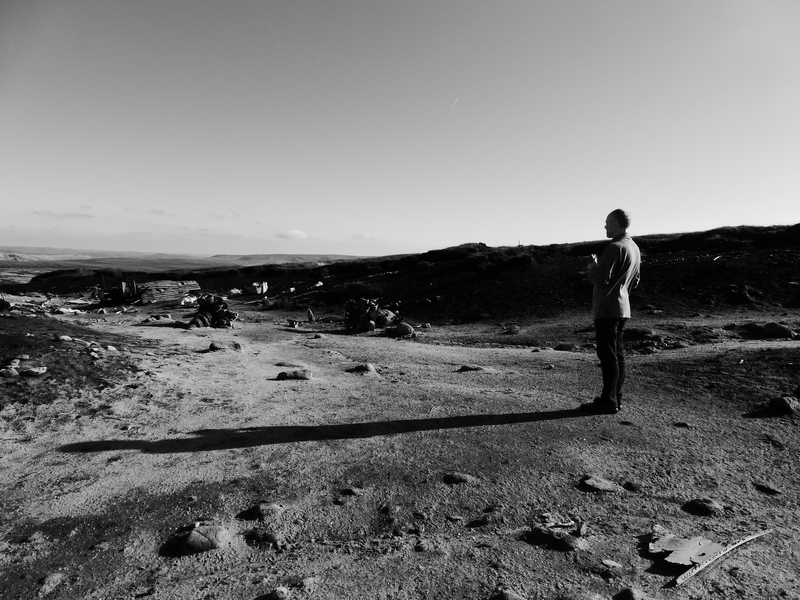 Click here to listen to Matthew Clegg reading from his recent sequences.